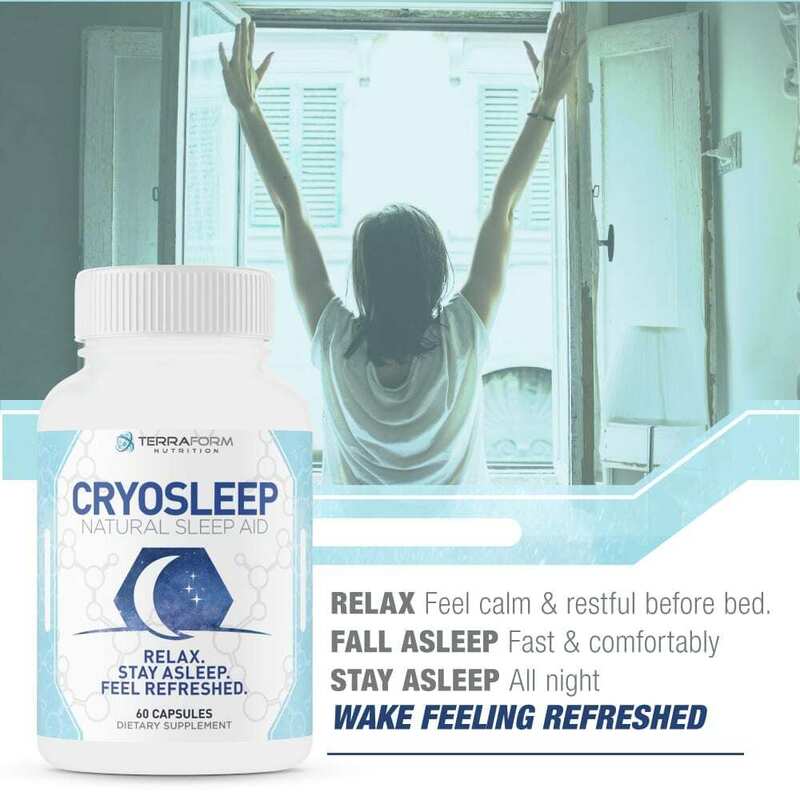 FALL ASLEEP FAST – Cryosleep helps you fall into a quiet, relaxed sleep quickly. 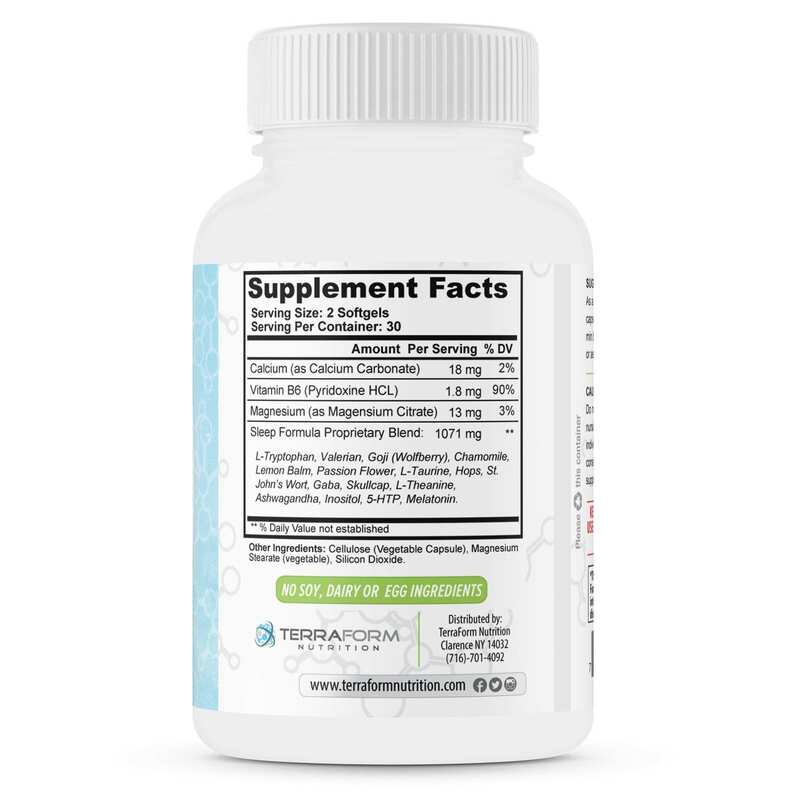 By easing your mind & body with the perfect combination of all natural ingredients. SLEEP BETTER, WAKE UP FEELING GREAT – By helping calm your nerves and easing your restlessness, you can sleep more solid and wake up feeling refreshed and ready to tackle the day, without feeling any negative affects you may get from other sleep aids. One of the biggest problems many of us face is feeling tired and de-energized, and often times that all stems from issues with sleep. Many people struggle to fall asleep, have trouble disconnecting from the day, can’t stay asleep, or waking up not feeling rested. As we looked out there for a solution to this problem, we noticed an abundance of options, but few that would properly do the trick with natural ingredients. 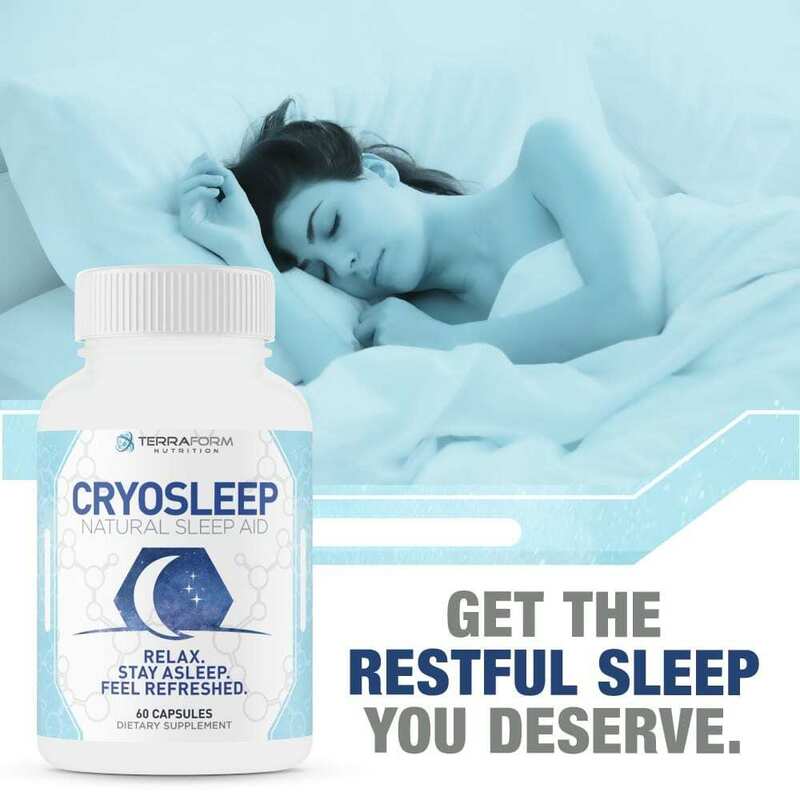 With an Expertly Crafted Blend of Herbs & Nutrients, Cryosleep is the Key. Melatonin – Normally, your melatonin levels increase at night naturally to help you sleep, but your surroundings can hinder this from happening. Light, Electronics, Stress, Jet Lag and any night time activity can disrupt it from properly rising. 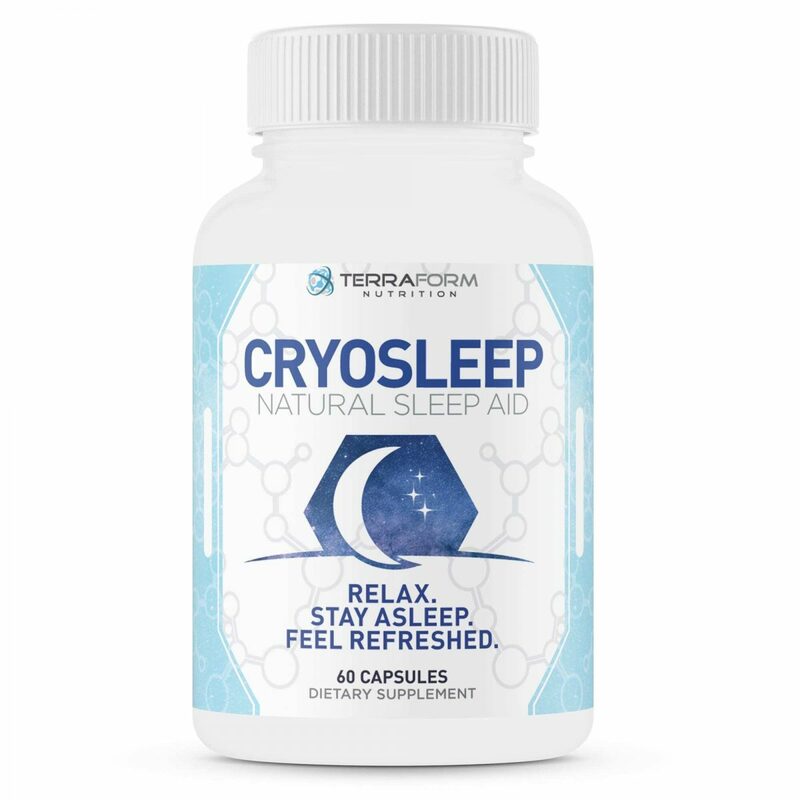 The Melatonin in Cryosleep helps correct this and your sleep cycle. 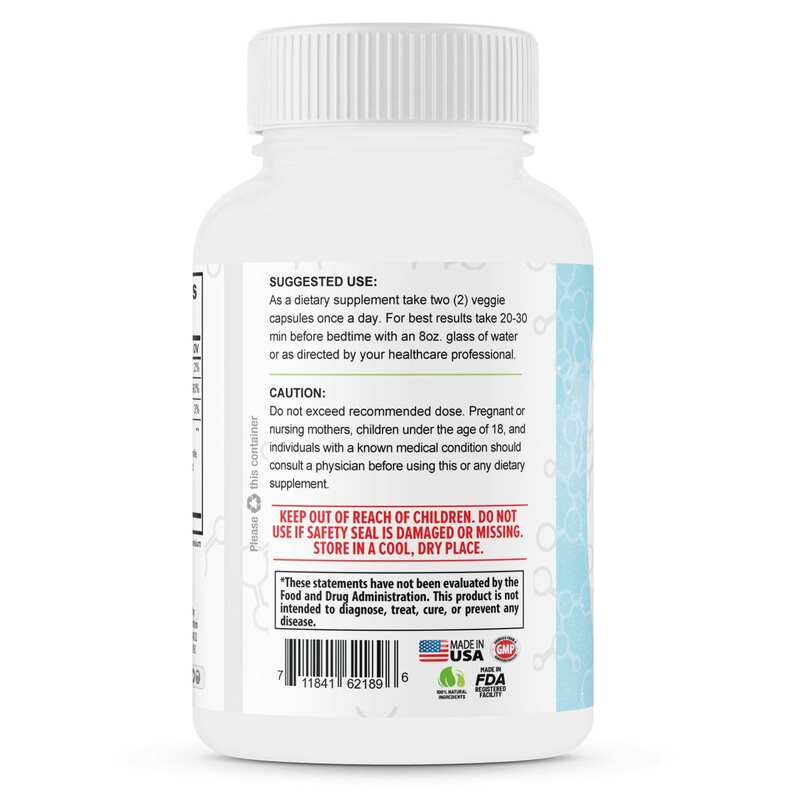 Herbal Blend (Chamomile, Wolfberry, Lemon Balm, Passion Flower, Hops) – Each of these herbs has natural properties that help the body naturally relax and has been used for centuries to remedy sleeplessness*. 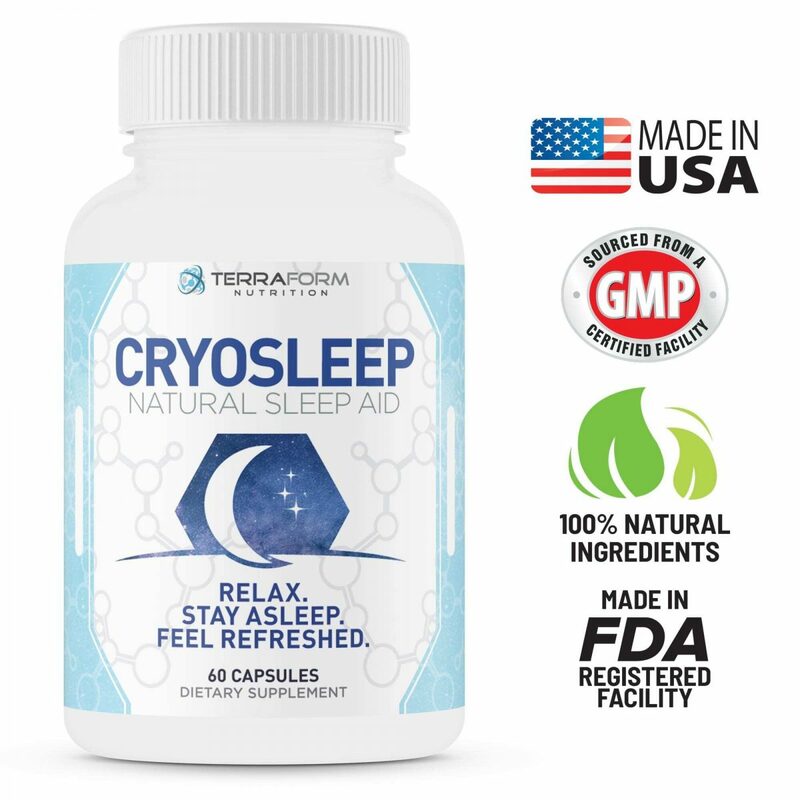 Combining them all together in our formula allows us to keep the ingredients natural, but the effects still powerful to give you that full night’s sleep. GABA & L-Theanine – Both of these ingredients help to put the body in a state of relaxation, and sooth the mind*. By helping the body reduce stress, in allows you to drift to sleep quicker, and sleep more soundly*. 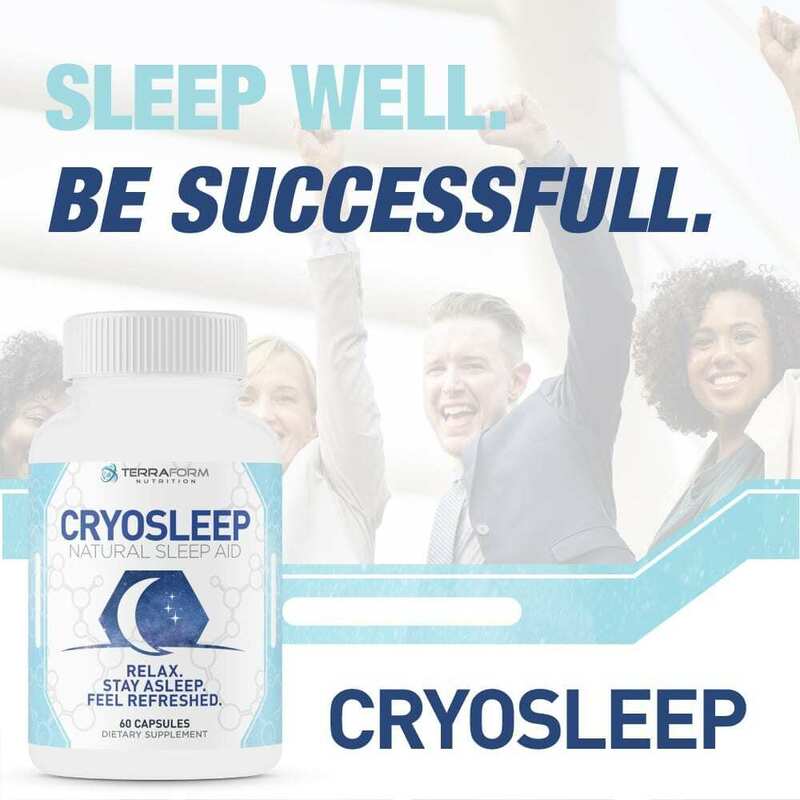 So instead of trying to lay there for hours or tossing and turning in the night, try Cryosleep. 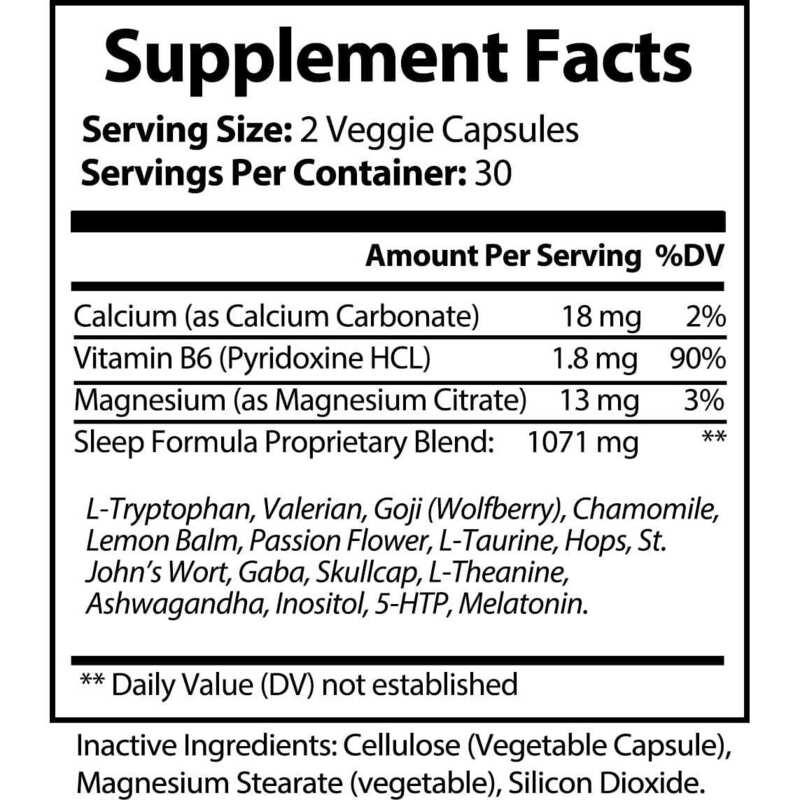 It will help you sleep better, so you can wake up rested and ready to tackle the day*.